K-12 administration is about more than advancing education. It's about transforming students, colleagues, and communities. Our Doctor of Education: Leadership in K-12 Administration prepares you for the complex and challenging role of school leadership. You’ll develop values-informed, relational leadership that deepens self-understanding and trust necessary to make a significant impact in education. Our Doctor of Education in K-12 Administration prepares students for the wonderfully complex and challenging role of leadership in K-12 settings. Students can earn a principal, superintendent, and special education director license. Non-license seeking students complete an individualized directed study. Our Ed.D. : Leadership in K-12 Administration provides an interactive online learning environment for working professionals who serve or want to serve in leadership roles within K-12 education. You’ll have opportunities to meet your classmates and professors during intensives that immerse you in topics that are vital to your growth as a leader. We’ll help you integrate effective, proven practices into your leadership style through case studies, small-group presentations, online discussion forums, and interactions with respected, inspirational professors who are leaders in K-12 administration. 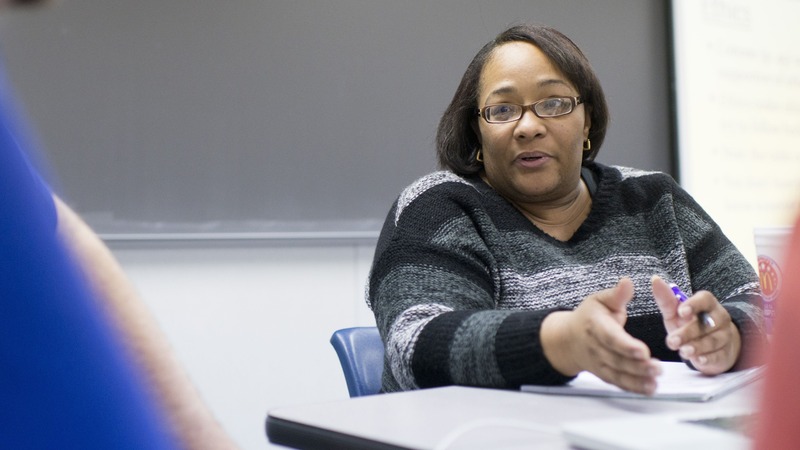 Bethel’s education professors are leader practitioners who bring relevant, knowledge and evidence-based practices into your learning process. They are committed to your success in the classroom and in your career. Many of our doctoral students work full time, have families, and are involved in their community while in graduate school. Our program is delivered primarily online with a yearly one-week intensive with flexible options, which allows you to add coursework to your other responsibilities in ways that make sense for you. You’ll have the opportunity to earn a license as a principal, superintendent, and/or director of special education so you’re prepared to serve in the educational role that best suits your interests, skills, and career goals. Our professors integrate their faith into their instruction, modeling the importance of values-informed, relational leadership that encourages you to integrate your ethical commitments into your leadership as well. Our Ed.D. in K-12 Administration will help you develop the skills and knowledge you need to be a confident, innovative, and successful leader.